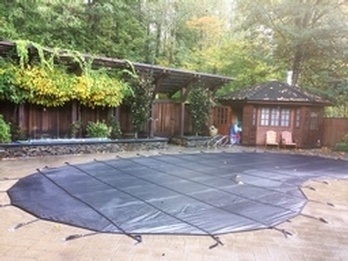 In order to protect your swimming pool from debris, heat loss or accidents, we can install a safety cover to your new or existing swimming pool. We offer fully automatic covers, manual covers and solar blankets for your swimming pool. We offer swimming pool installation, construction, repair and renovation services throughout the Lower Mainland including Squamish, West Vancouver, North Vancouver, Vancouver, Burnaby, Coquitlam, Pitt Meadows, Maple Ridge, Surrey, Langley, Abbotsford, Mission and Chilliwack. Copyright © 2019 - BC Pools and Spas Ltd.
BC Pools and Spas Ltd.